Throughout human history, wool has been among the most popular and used clothing materials. If you’re reading this, then it is more than likely that to a certain extent it has already made its way into your closet or you could be wearing it right now. One can argue that we still use this material because it’s cheaper and more traditional than other fabrics and one may be wrong. The insulation properties that wool has are almost unmatched, besides it’s comfortable and flexible, making it ideal for equipment designed for the outdoors. Is Wool a Good Material to Wear While Hunting? There are many types of wool which vary depending on the type of sheep. This material generally shares the same traits and properties, most of them are very beneficial for people in cold temperatures. First of all, it's comfortable, otherwise, its use wouldn't be so widespread around the globe. This fabric keeps you warm by retaining and holding in the heat your body constantly creates. This is called insulation. No textile generates heat by itself, but some are better than others when it comes to retention of it and wool is among the best for this because it can also do this, even while wet. Also, the textile is breathable, meaning that you won’t be sweating as much. Keep these aspects in mind throughout this review. Some products sometimes incorporate different materials in order to keep them warmer, but that may not be a benefit if the climate around you is not extreme. Your choice of product should reflect the conditions you’re going to be against, otherwise, you’ll find yourself in the ironic situation of being too hot in the snow. When acquiring wool clothing, you may want it a size larger than you need so that in extreme situations you’ll be able to wear another layer of clothing and still be comfortable. The tricky part is that some companies already manufacture their products a size bigger. Sizing is always potentially an issue while shopping online so paying extra attention to details is necessary. The way different equipment stands out from other options is how good their properties are or how they fit your tasks. You want to ask yourself if you require a waterproof model, a more silent one, or pants with more carrying space. A common issue that many clothing manufacturers ignore is the way natural clothes reflect UV light, making them more visible to deer. This model takes care of that by offering a lighter absorbent option, thanks to their wool choice. 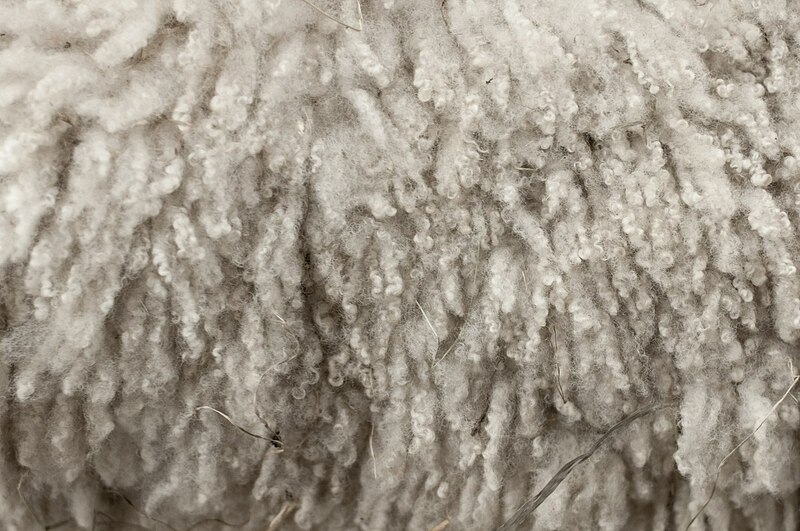 Merino wool is one of the most relevant types of wool worldwide. It’s soft and thin but can still retain a lot of heat. Another exceptional trait is odor control. The material itself is antibacterial, meaning that you’ll remain odorless even after several days of use. This is quite critical when it comes to concealability because aside from sound and sight, the smell is one of the most likely ways animals can spot you. The material used in these pants is breathable, so sweating is not an issue while it retains your body heat. The design is fire-resistant and also hinders sound, so you can still be stealthy. Sadly, the other materials used to implement these features are not as durable as the wool used in the pants, so without proper care, they can start to develop tears inside the cloth. In terms of sizing, the manufacturer offers a wide selection of options and they already come with enough space for you to wear another layer of clothing under them, meaning that in this particular scenario you should not get one size bigger than you as is usually recommended. The excellent thing about this product is that it’s designed to keep you concealed in terms of sight, sound, and scent. The fabric choice has excellent heat retention qualities, making it a generally effective piece of equipment. While most of these options are wearable by women and men alike, sometimes it’s better to have products specifically designed to accommodate each requirement and demand. In menswear, this is the best option on the list as it is mapped to comfortably match the male body while protecting it from wind, cold, and snow situations. This product allows for a considerable amount of mobility, and thanks to the fabric properties, it produces minimal noise. The cloth is breathable so it is useful in warmer conditions without causing a lot of sweat. It absorbs UV light so it’s harder to see. In terms of material, it is a mix of cotton and mostly wool, both of which have excellent insulation properties. While it is not waterproof, it can absorb a considerable amount of water without becoming damp, up to around 30% of its own weight. Filson offers a vast variety of sizes that are critical for those that want a customizable option, but their sizing chart is not the friendliest. The pants come with seven belt loops and a metal adjuster, should you want to use suspenders. It also has quite a considerable amount of carrying space with the addition of deep front pockets. The quality of the pants is really good but the best part is that they come with a lifetime warranty so these pants may be your partner for a long time. The best thing about having equipment designed for you is that it is more efficient and comfortable to wear. The fabric is designed to keep you concealed and protected in many different situations, thanks to its versatile build. If you're looking for a long-lasting, quality-driven product, this is an option you should consider. Johnson Woolen Mills products have been around for more than two centuries and the insulation properties of their handmade pants are so good that they are known as "iceman pants." Not only does this fabric have the same water and wind-resistant properties as your everyday wool product, but they also assist with reducing allergies that some individuals may be prone to when using wool. So while they’re the most traditional option on the list, they don’t lack in terms of design or usefulness. This choice is known for its durability. With proper care, the pants can last from several years up to multiple decades. They’re stain-resistant and easy to take care of. Unfortunately, it does lack storage space, if that is really important-nonetheless, the unique qualities of these pants outweigh their limited carry options. At a time when everything seems designed to expire or become obsolete within a certain amount of time, it is refreshing to have an option that, when well-taken care of, can last for a lifetime. It’s like the products of old, that lasted for many years. Style doesn't have to be sacrificed while hunting. 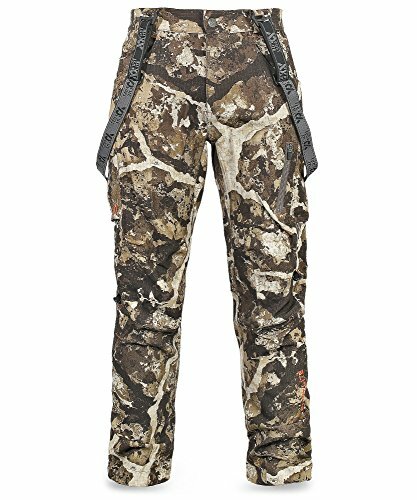 These pants do more than look good as they also offer a lot of utility and comfort in most climates. 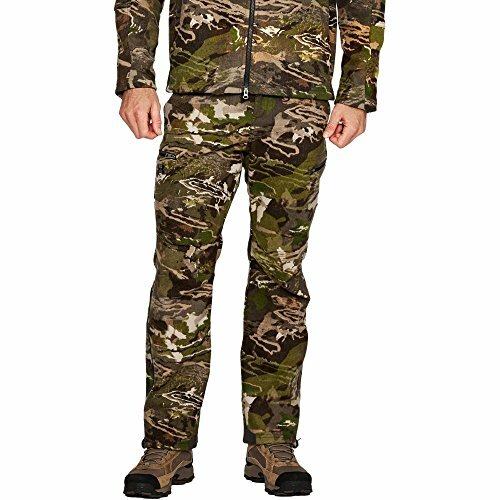 This model is made with Merino wool, and as stated before, this fabric offers a set of properties that can perform excellently for hunting gear because they have exceptional thermal insulation and can still be worn even after being submerged in water. The design offers wind and water resistance so it is not restricted to only snowy climates. In addition to this, it’s breathable for multi-weather purposes and sweat regulation. The knees are articulated for a more natural range of motion. In terms of storage, it offers a secured zippered front pocket to keep extra equipment in place. For better adjustment and fitting, it comes with an integrated belt, although sizing tends to be an issue, so in case you want to wear a layer of clothes underneath, go for a bigger size. This product is ideal for people that have a more traditional taste in clothing. It has all the qualities of a versatile model that can keep you warm and protected in different types of situations. Sizing is an issue so it's recommended to always aim for a bigger size. 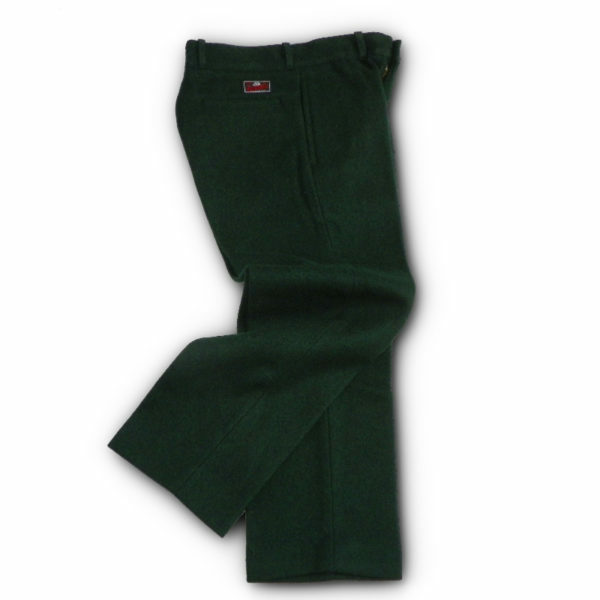 The Johnson Woolen Mills Ladies Pants offer a large number of features for women that desire in a product that is tailored to fit them comfortably. Options for men generally outnumber the rest and they are uncomfortable for ladies to wear, which gives this product a larger value in terms of comfortability. The insulation qualities in this model are critical for people in extremely cold climates. It has enough space to be worn with another layer of clothing should the situation arise and it’s water-resistant. The material used is thick and protects against brushing that may happen while moving around. This is a handmade product and quality-wise, it’s the most durable option on the list, as a well-taken care pair of pants like these can last for decades. It comes with belt loops for a more comfortable adjustment. The fabric makes them quiet while moving to keep you concealed. Unfortunately, just like their male counterparts, there is a lack of significant storage space. Products are generally advertised towards men but that doesn’t mean that there are not quality options for the ladies looking for a compelling product that can protect them from harsh weather situations and can last for decades. This option is put together including all the numerous traits an exceptional pair of wool pants requires and executes them flawlessly. Under Armour is known for their special insulation design that protects the wearer without sacrificing comfortability. The material used here is mostly wool with the integration of different fabrics that excel at different tasks. In addition to their heat retention qualities, this is a water-resistant choice. The technology used by the manufacturer doesn't sacrifice breathability, so you can wear them in different types of climates, making them a versatile alternative. The camo is designed to get you to blend in with the environment, which is a complete addition when hunting for specific prey that is not colorblind to the design. The measurement and sizing chart is pretty detailed so you can find an option that is excellent for you. The only downside is the fact that the combined other fabrics offer more than the wool. Under Armor is known for its effective health isolation technology, so you can rely on this option for different types of situations and weathers. The attention to detail on the model is excellent, and while it is not 100% made of wool, it certainly feels like it is. The best method of washing wool equipment is by hand. You can fill up a sink with water and throw in the recommended amount of cleaning product, which should be on the shampoo’s label. Submerge the pants in the water and make sure they get fully wet. Let them soak for 30 minutes, rinse, and let dry. The water may pick up some of the colors of the pants but this is not a major issue, as this also happens with machines. When it comes to drying, the best way to do so is by avoiding machines. It’s advised to steam them in order to reduce odors. This is done with an iron or a steamer. Be careful about perfumes or scents that certain cleaning shampoos may bring on them as animals can pick up on them easily. Wool pants are practical and effective when it comes to keeping you warm. They may be thick, but the right models can give you a great deal of mobility and utility. Thanks to wool’s properties, this is one of the most effective pieces of equipment you can own to keep you warm and concealed.